The ones with a strikethrough have been read. Currently reading Shanghai Baby. 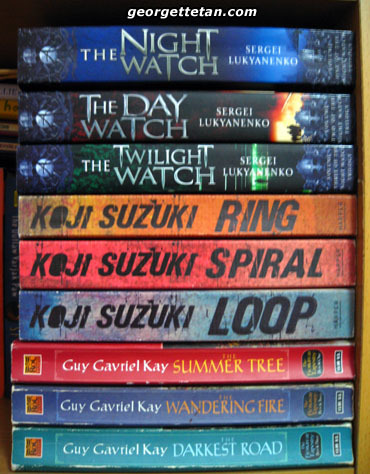 I’m pleased that I found Twilight Watch because my trilogy is now complete. 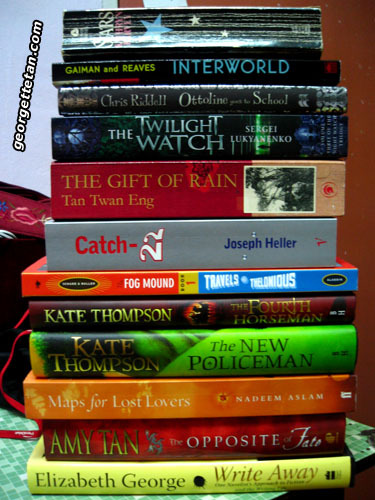 Here they are with some of my other trilogies.